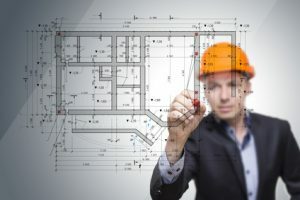 Construction claims consultants have to fill many roles for a given project when they come on board. Interim short-term management is a practice that dates as far back as the 1970s, and companies rely on these consultants to bring far more experience to the table than their in-house team. A crisis on a construction site almost always means a delay in work, which translates to additional costs. This guide will help consultants and crews work together to manage crises as they happen. A crisis is a major, unforeseen event that threatens to harm the operation and its stakeholders. It’s important to understand that a crisis event is not unexpected, but no amount of construction consulting can predict the future either. There are almost always three elements at play: a serious threat to the organization, the element of surprise that comes with the problem, and an extremely short time frame to deal with the dispute. In crises situations, turn to construction & turnaround services for the added labor you need to get you through the hurdle. Imagine the sudden departure of senior management, which could happen on any project. You can’t just find a C-level executive, but you can hire for the short term. That short term might be all you need to get you out of the project. You can choose a new C-level later, when the project is finished and everyone can approach the business with a clear head. Lyle Charles Consulting has more than 30 years of experience in the manufacturing, distribution and construction sectors. Mr. Charles works with some of the largest construction companies in the United States, and is well versed in residential and commercial construction laws. Can I Legally Remove My Mugshot From the Internet? Should You Tell Kids About a Divorce?